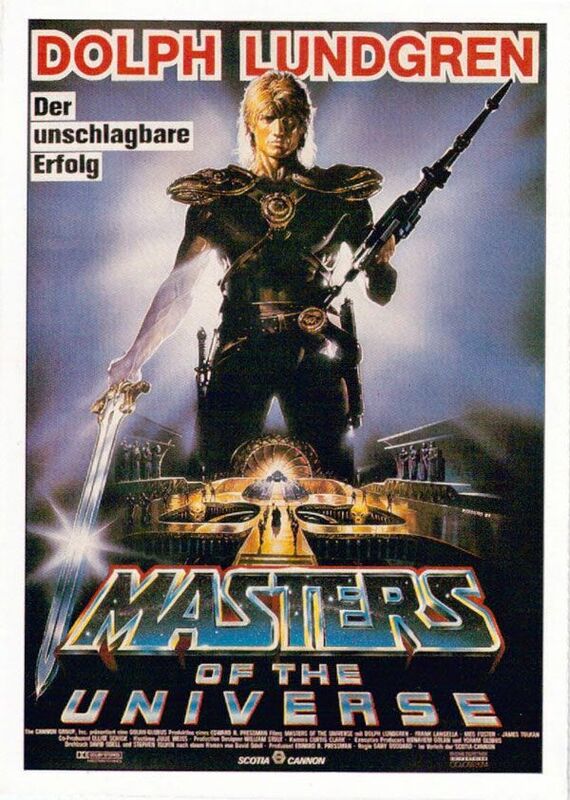 Offered is a German film card from MASTERS OF THE UNIVERSE. A unique promotional item offered in Germany is called a film card. On one side of the 4"x6" item is an image of what the German poster looks like. The reverse has information about the film. These cards, first printed in 1978, are unique because a collector can see that the German poster often differs from its American counterpart. Seemed cool... and you can't beat the price! 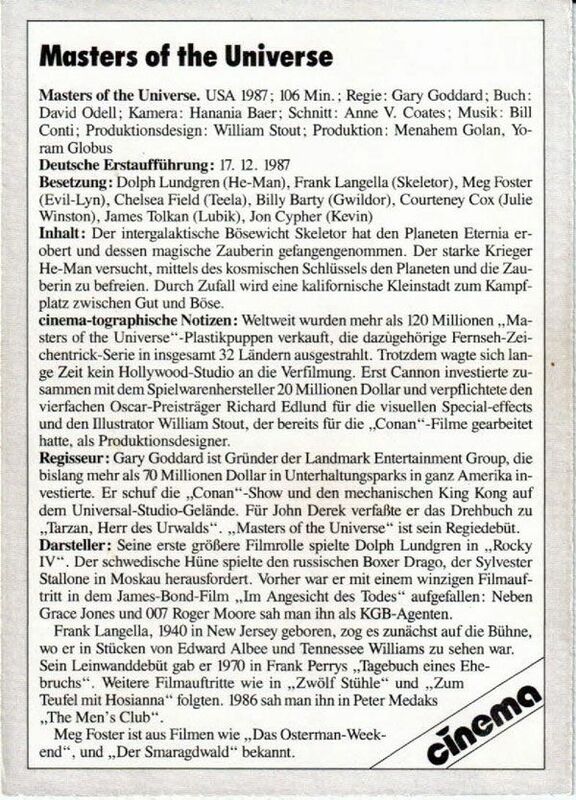 Now if there are any German fans out there who'd like to translate it, please do!